BB King has had many guitars over the last 65 years, but they all have one thing in common, their name. Here's why. Guitar players have all sorts of different reasons for naming their guitars, but few do so as a reminder that the instrument, however beloved, really isn't all that important. That, however, is exactly why BB King came to name every one of his guitars Lucille. King was playing in a nightclub in Twist, Arkansas in 1949 when a fight broke out. It was winter, and the club was cold, so to heat it, a bucket full of kerosene had been placed in the middle of the dance floor and lit. During the fight, the bucket was knocked over and, in King's words 'a river of fire' consumed the dance floor. Everyone fled, including King. But once outside, BB realised that he'd left his guitar inside. Despite the blaze, and the fact that the wooden building was in danger of collapsing, King ran back inside to fetch his $30 Gibson acoustic. The following morning, having been successful in retrieving the guitar without getting hurt, King discovered that the fight was over a woman named Lucille. 'I named my guitar Lucille to remind me never to do a thing like that again,' said King years later. 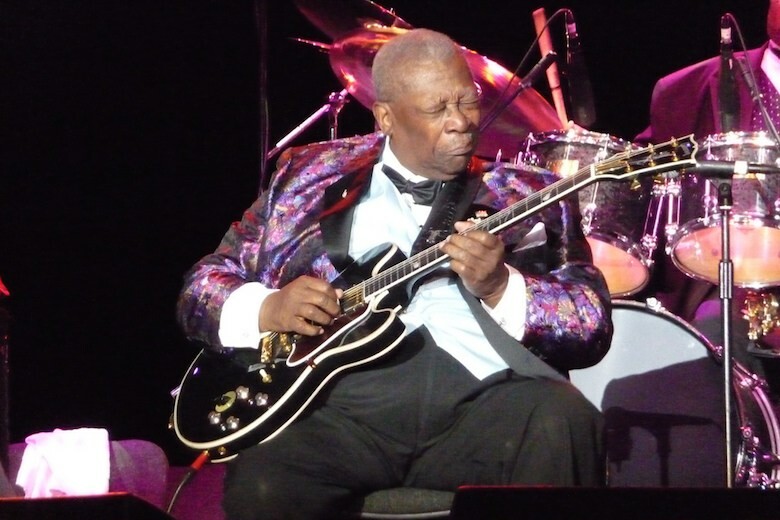 BB King graduated from playing $30 acoustic guitars in tiny nightclubs very quickly and over the years has played several guitars, including a Fender Telecaster and Gibson Les Paul Gold Top, each one called Lucille. But he's most famous for playing a Gibson ES-335 and ES-355; according to Gibson, BB started using an ES-355 as soon as the first one was built in 1958. King favoured the semi-hollow bodied ES-335 and 355 over the Les Paul and other solid guitars because they allowed him 'to achieve greater volume at the fore of his orchestra,' according to Gibson. But that greater volume came at a price – feedback. So, to eliminate the feedback, BB stuffed the f-holes of his semi-hollow body guitars with towels. When Gibson made the first Lucille production model in 1980, it based it on an ES-355TD (Thinline, dual-pickup). And, in keeping with BB's preference for filling the f-holes, they were removed altogether. 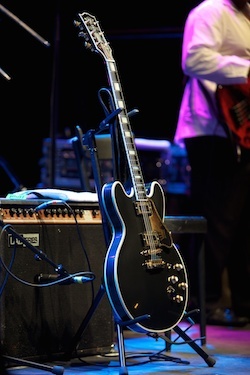 Other features of the Gibson Lucille include mono and stereo output jacks, six position Varitone rotary dial, and maple neck. The iconic ebony Lucille with gold hardware was joined by a cherry red model for a while, and there was even a white Lucille, a one-off made for Aerosmith's Joe Perry, and which he named after his wife, Billie. In addition to the Gibson Lucille, there's also a more affordable Epiphone version. The Epiphone Lucile doesn't have quite as fancy a headstock as the Gibson model but is a beautiful guitar nonetheless. The original Lucille would be proud to have such a beautiful guitar named after her. Sadly, she probably never knew that one of the best exponents of the electric guitar ever to have laid his fingers on a fretboard named his guitars after her. BB King never met her and there's no record of what became of her after that night in Twist in 1949.